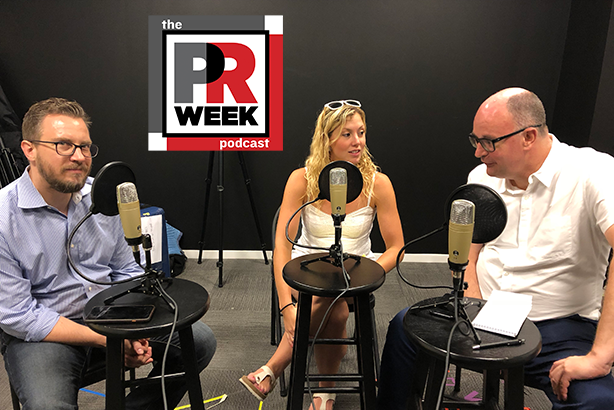 Campaign's U.S. editor joins the team to discuss the brand's mission statement and future plans, the recent spate of agency acquisitions, the PRSA's poorly executed "PR Princess" quiz, Blockchain, Omarosa, and more. Lindsay Stein, editor of Campaign U.S., joins Steve Barrett and Frank Washkuch on this week's episode to talk about the marketing media brand's mission statement and plans for the future, as well as Trojan's cheeky new campaign and Blockchain housing programmatic buying. They also discuss this week's top communications news, which includes the recent spate of agency acquisitions, Omarosa and leaked tapes from the White House Situation Room, Generation Z myths debunked, and the PRSA's "PR Princess" quiz, which backfired on the trade body.